Ever pull something from the depths of your closet and ask yourself so "what is it anyway"? 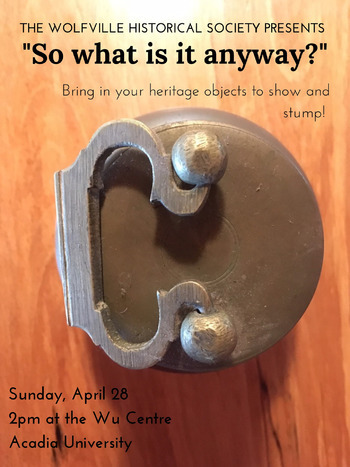 Well we are giving you the chance to share your strange objects with us at the Wolfville Historical Society's next monthly program. Lots of parking, lots of snacks, lots of laughs.